2012 - Pioneered the production for supply of machined parts to export customers. 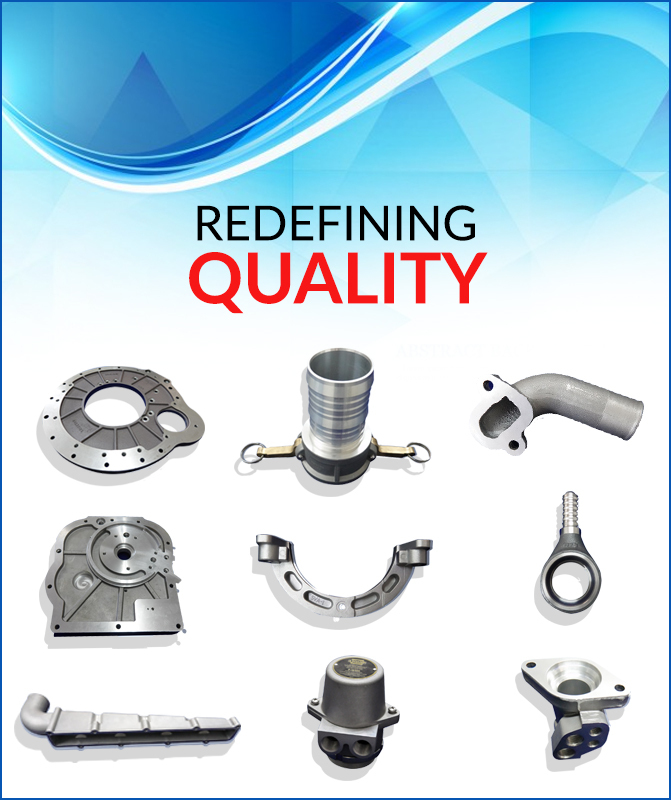 We aim become the reliable and dependable source for the Aluminium die casting and machined parts. We aim continuously update the manufacturing facility in line with the world class standards. We aim to deliver best in class products and services to our customers, Associates and stake holders. We aim to manufacture superior products that meets highest quality, product safety and delivery standard in the industry. We are committed to achieve customer satisfaction both internal and external, by delivering defect free supplier parts at the right time in right quantities and in the right place. We shall provide support to suppliers to continuously improve the quality, cost and delivery capabilities in an environmentally responsible manner.